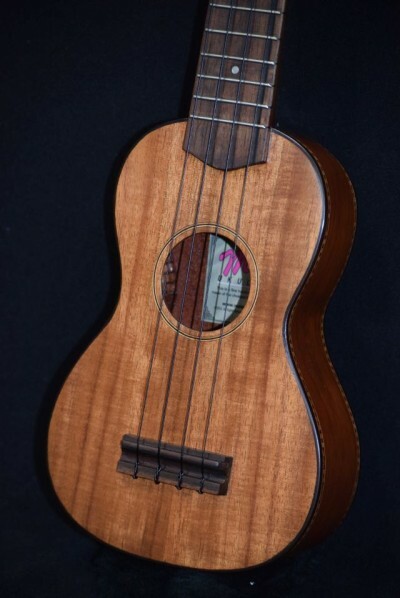 This ukulele combines the features of two of our most popular ukes. 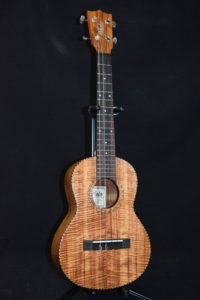 It has very beautiful curly koa appearance and sweet tone of the Mele all-koa soprano, but with the lesser cost and warm resonance of our all-mahogany soprano (because of its mahogany back and sides). 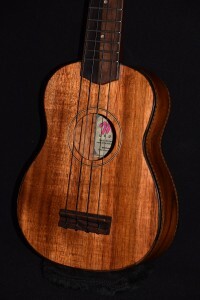 A very excellent choice for a gift: for a first ukulele, or even for somebody who already owns a few! 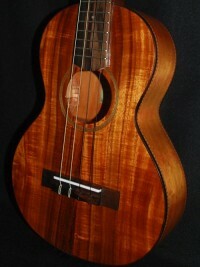 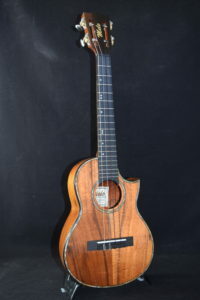 Has the reliability and lifetime warranty for which Mele is famous.